They can help you become a tougher person, give you a right amount of confidence, and allow you to set limits on how others treat you. Nevertheless, there are people, who take these traits to an extreme. If you are close with a narcissist, you’ll notice they expect endless praise from you. And this is not all; narcissists want to control others, usually by separating them from the ones who support them. Narcissists try to lower others’ self-esteem to boost theirs. And all of these actions are more or less abusive. Narcissistic abuse can occur in different forms. But generally, it consists of all sorts of unloving actions which aim at the gradual dismantling of your self-esteem by the abuser. And the truth is that the narcissist does not like themselves, so they hurt you to feel normal. The person with narcissistic personality lacks understanding and sympathy for others.And on the top of that, such people often harass others not only emotionally but physically as well. As with anything, people who have narcissistic personality display mild to extreme malicious characteristics. Narcissists might even not realize or care how harmful their presence is because they are too concentrated in trying to satisfy their own selfish needs. Unfortunately, narcissists’ toxicity could be extremely dangerous and cause severe psychological damage to people who are regularly exposed to it. After getting rid of a narcissist, people could have to go through a period of helplessness, distress, rage, or depression, much like what occurs following a traumatic situation. Much like Post Traumatic Stress Disorder, PNSD is a condition that affects people who have been in a close relationship with a narcissist. Living with a narcissist can be extremely exhausting. It could cause psychological trauma to the other person because narcissists are usually very manipulative and abusive. They try to gaslight their victims and always act for the sake of their feelings and interests. And it is hard proving narcissist abuse from those who are undiagnosed and unaware of the problem. So to be capable of dealing with the narcissistic abuse, we should admit on time the hideous pain that these unfortunate people inflict on us. If the damage is a fact already, we need to be able to notice the PNSD’s symptoms. Here are the three most common telltale ones. 1. 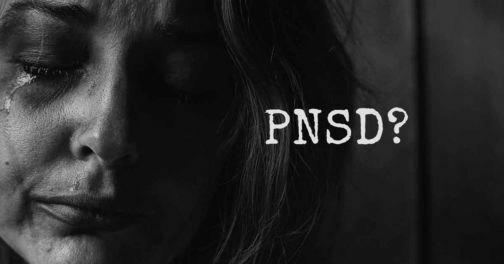 The PNSD could bring back painful memories and the person who has them may feel as if they are going through this again. The common symptoms of PNSD include intrusive memories that provoke anxiety, avoidance and lead to withdrawal from social activities and hyper-vigilant emotions. Such as feeling high levels of stress or anxiety, a regular crisis of anger, and problems related to normal sleeping or doing your everyday tasks. Such emotions or events can damage both our personal and professional lives. But, unless being officially diagnosed, people should not self-presume the presence of the disorder. 2. A person traumatized by narcissistic abuse has an obsession with their failures and incapacity of dealing with different situations. A lot of people think that one has completely failed because they didn’t meet certain criteria or didn’t live up to their certain expectations This is, even more, the case with people suffering from PNSD. This condition comes as a response to the long-term exposure of the abusive belittling treatment of a narcissist. People with PNSD are usually eager to find the answers that could solve the specific issues causing their (sometimes imaginary) lack of success. However, the thinking patterns of such people are often full of self-blame. 3. Living with a narcissist can be extremely consuming experience and might lead to a personality disorder. One of the main signs of PNSD is the inability to recover and go back to normal life. People who have lived with narcissists usually have to learn to adjust to their previous lifestyle. Eventually, when they get rid of the narcissist’s influence, the survivor may find it tough to adjust to life again. A person who is trying to return to the habits typical of their life before loving a narcissist may experience paranoia, panic attacks or depression. They may also doubt their memories and perceptions. The symptoms outlined above are among the most common but surely are not the only ones that we have to pay attention to. That is why we have prepared a list of other symptoms of PNSD that people often manifest. Most narcissists won’t undergo therapy – since they don’t believe there is anything wrong with their personality. Hence, healing from narcissistic abuse is most often a process that the abused person has to go through alone. Keep in mind that a narcissist’s persistent negative influence could ruin your self-confidence and make you feel unworthy. So, you need to end a relationship with such a person before the psychological trauma has become extremely serious. If you are unable to leave the relationship, a therapist can assist you in learning to communicate effectively and set limits so the narcissist cannot manipulate you. According to us from “I Heart Intelligence”, if you’re in a relationship with a narcissist and their influence is hindering leading your normal life, it’s essential to ask professional help and support to restore your confidence and self-esteem. You should find a mental health professional who is qualified for helping in trauma recovery and healing narcissistic abuse.